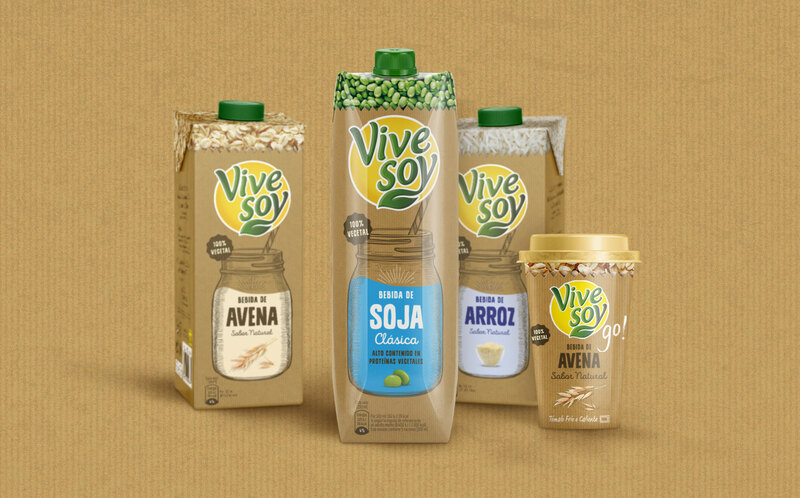 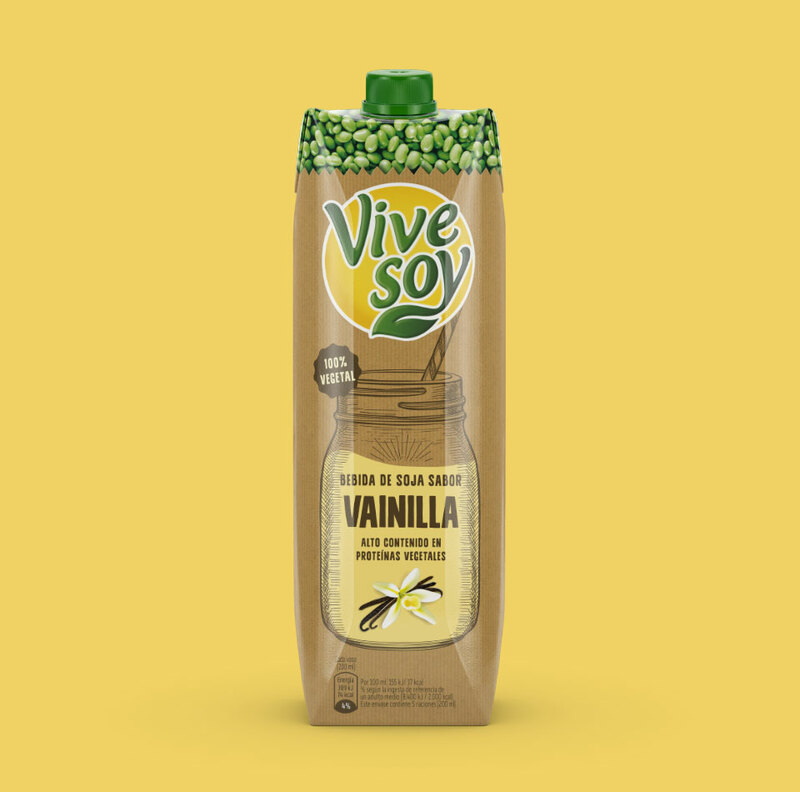 The natural is the focal point of the packaging for the Vivesoy brand: a Kraft paper bag filled with the best ingredients is the cross-cutting element for the different varieties in the range of soy and other plant-based drinks that Vivesoy sells. 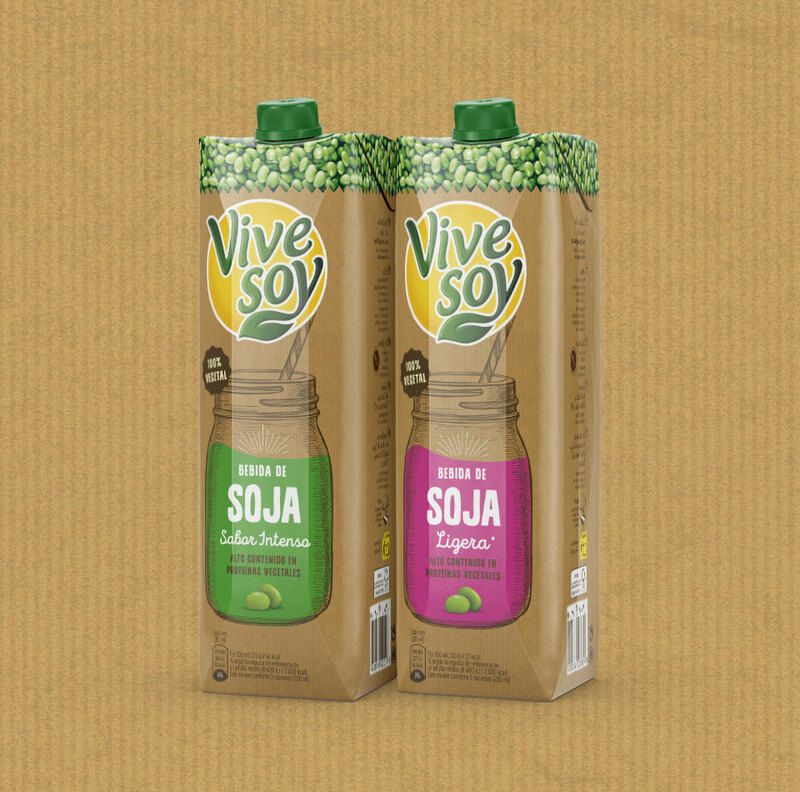 A design that brings us back to a healthy universe with a vintage touch, seeking to connect with the lifestyle of its consumers. 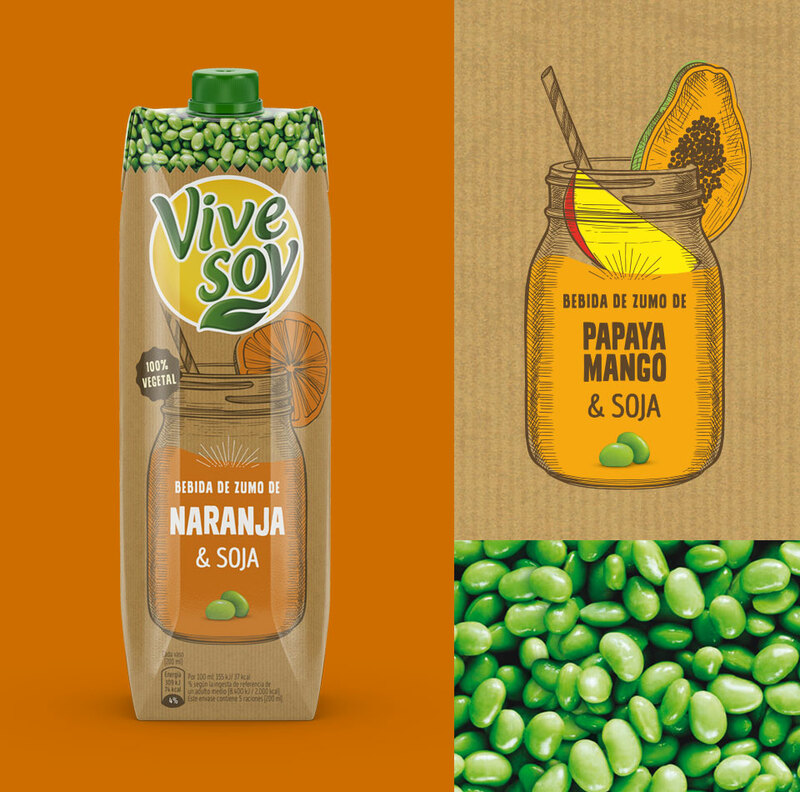 Regreso a lo natural. 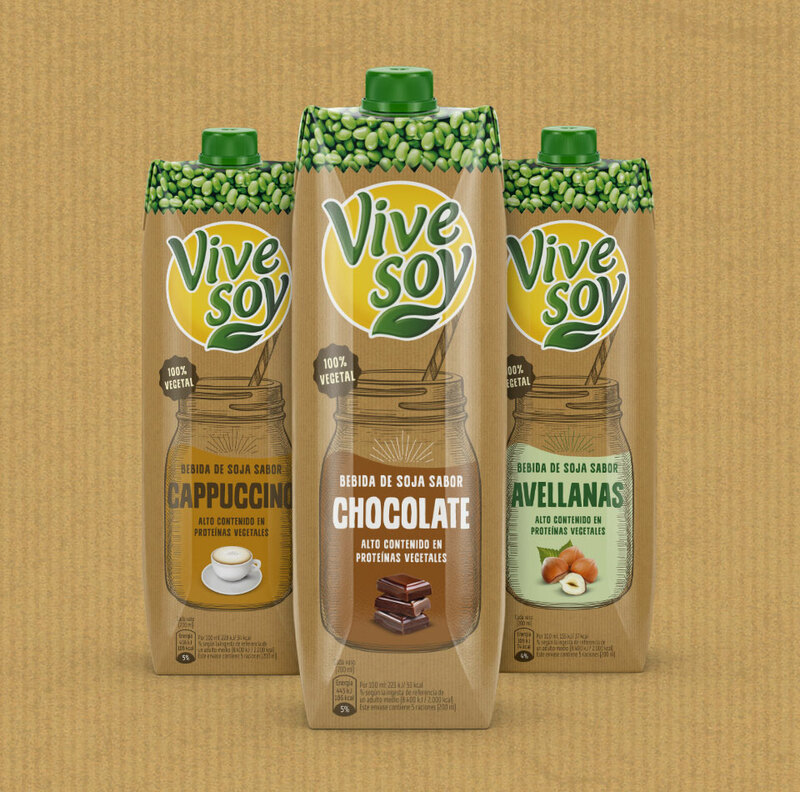 La naturalidad centra el packaging de la marca Vivesoy. 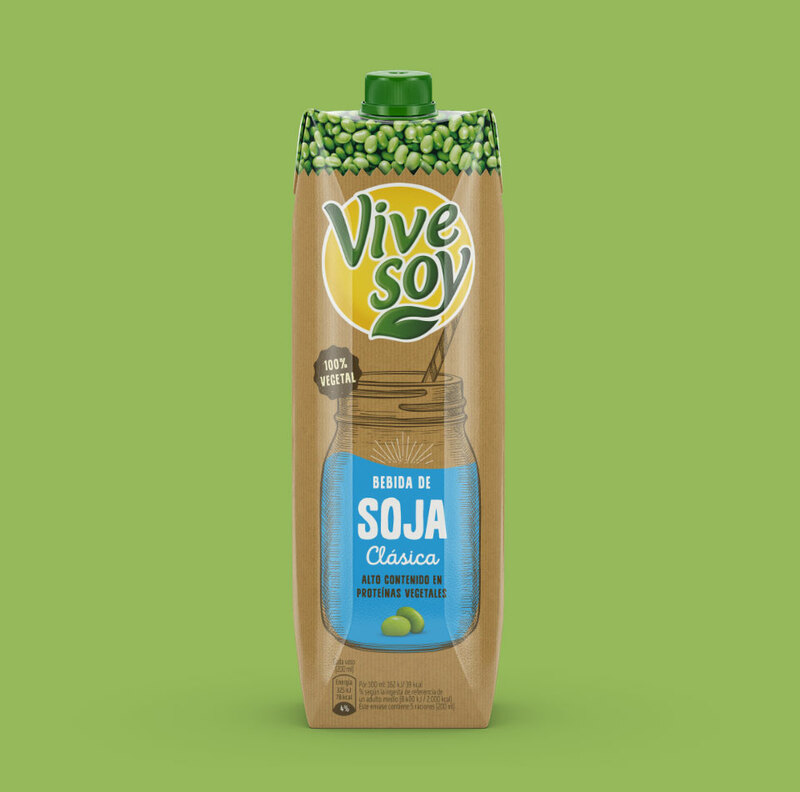 Una bolsa de papel kraft llena de los mejores ingredientes es el elemento trasversal de las diferentes variedades de la gama de bebidas de soja y otras bebidas vegetales de Vivesoy. 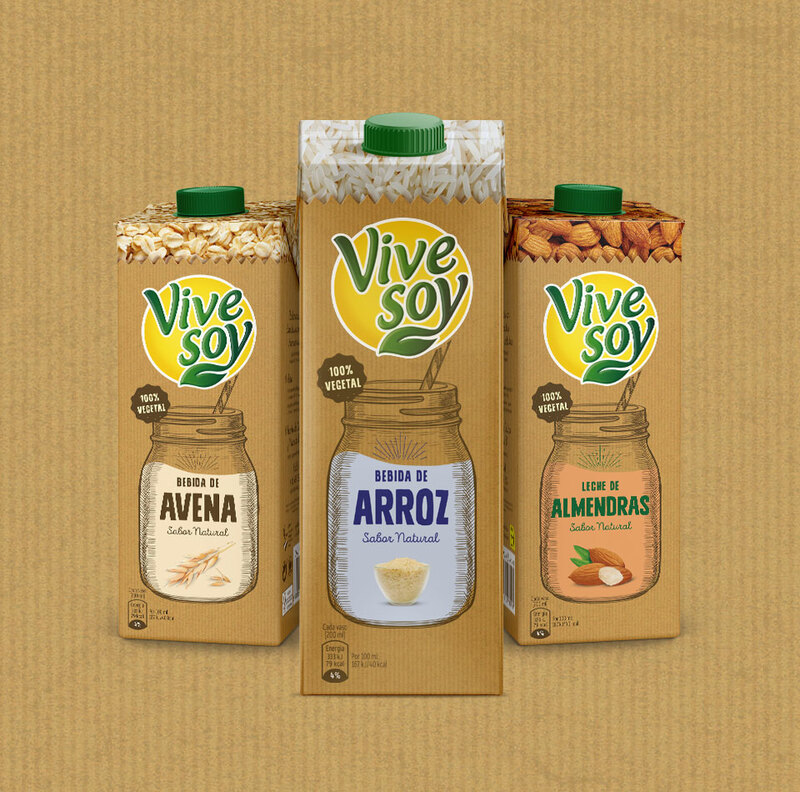 Un diseño que nos traslada a un universo healthy con un punto vintage, que busca conectar con el lifestyle de sus consumidores.